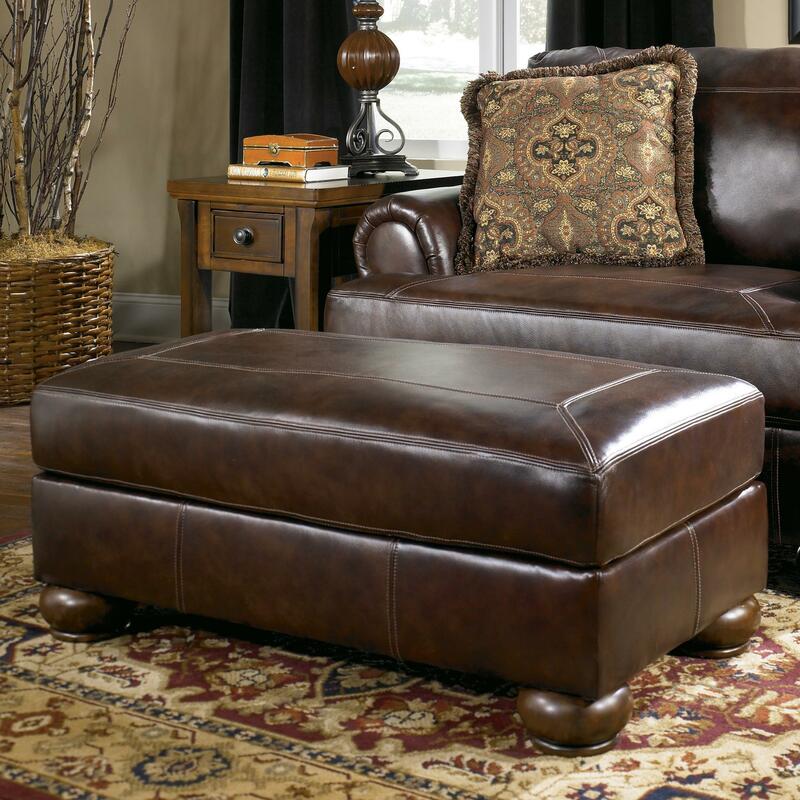 Accent any lounge area with the rich style and versatile function of this ottoman. 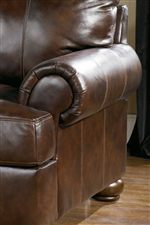 Perfect for sitting or resting your legs, this item is topped with a plush, 1.8 density foam cushion wrapped with sleek leather upholstery for exceptional comfort and design. With the addition of subtle stitching detail and bun wood feet underneath, this ottoman's casual elegance will fit effortlessly in any traditional-style home. 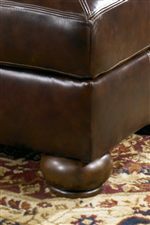 Easy to move around the room at your discretion, this ottoman is the perfect living room accessory. The Axiom - Walnut Traditional Ottoman with Bun Wood Feet by Signature Design by Ashley at Michael's Furniture Warehouse in the San Fernando & Los Angeles area. Product availability may vary. Contact us for the most current availability on this product. The Axiom - Walnut collection is a great option if you are looking for furniture in the San Fernando & Los Angeles area. Browse other items in the Axiom - Walnut collection from Michael's Furniture Warehouse in the San Fernando & Los Angeles area.